Using Feed Tracking, users can see updates for records they follow in their Chatter feed.We can track only up to 20 fields per object. 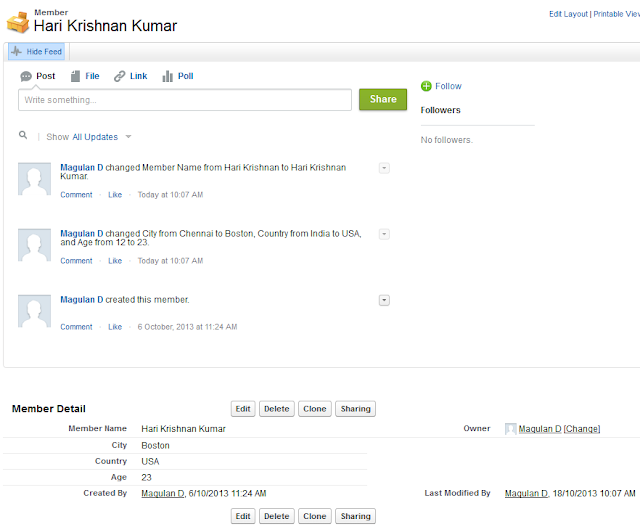 It won't show modified values and old values for Multi-Picklist and Long Textarea fields. 1. 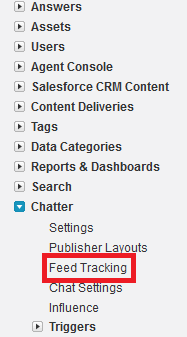 Go to Setup --> Build --> Customize --> Chatter --> Feed Tracking. 2. 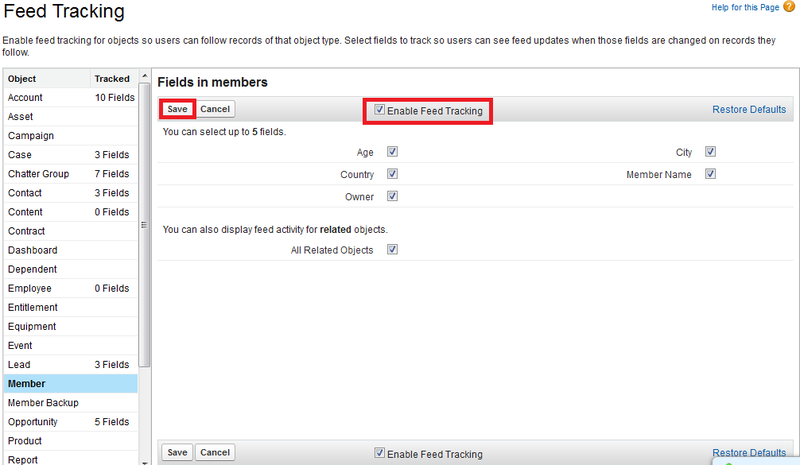 Enable Feed Tracking, select the fields and click "Save" button.